William Pierce served as the General Services Officer (GSO) in Surabaya, Indonesia from 1973 to 1975. Pierce describes the aftermath of the crash; how the FBI had to give up trying to identify the bodies after only a few days; and the two ceremonies – cremation for the Shinto Japanese, burial for the French Catholics – held on the beach shortly thereafter. Pierce was interviewed by Charles Stuart Kennedy beginning in 2001. You can also read about the Lockerbie crash, the 1996 crash of Commerce Secretary Ron Brown’s plane in Croatia, and the 1996 hijacking by drunken Ethiopians of an Ethiopian Air flight over the Comoros islands. PIERCE: The plane crash was a Pan Am plane…; it was coming from Hong Kong to Sydney, as I recall. There used to be two flights a week through Bali and they were the only non-Indonesian flights allowed outside of Jakarta at the time. I got a call one night about 1:00 a.m. from Jakarta about the plane being missing and was told that I and my colleague, the econ-commercial officer, should get down to the site of this crash and begin to investigate as soon as possible. Which meant that we drove. We took our FSN [Foreign Service National] consular clerk with us. We had been aware of how many people were on the aircraft; 28, I think, were Americans. Around about 10:00 a.m. we found ourselves in northwest Bali looking up at a mountain perhaps two or three miles away, and with binoculars, at the very top of it you could see sort of a black char. And this began my experience for about the next two weeks of trying to manage American interests in a situation like that. Trying to deal with the host of bureaucrats and organizations that were interested in this and the occasional contacts with family members who came to the island or who were on the island waiting for the people on the plane. It was an extremely trying time. It was a period – one 36-, 48-hour period – with six hours sleep. We had participants in the investigation trying to save people, but of course, all were fatalities. We had the FBI there as an identification team. They had the NTSB there because it was a Pan Am plane. We had a gaggle of Pan Am vice presidents. This had been the third Pan Am crash in the South Pacific in 18 months. We had the FEIA – Flight Engineers [International Association]…. We had representatives from the French, the British, the Australians, the Japanese, all the consulates. We had a crust of Indonesian bureaucracy…. 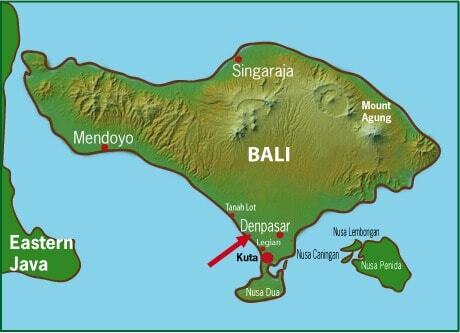 The site of the air crash was a six- or seven-hour drive north of Denpasar, the capital of Bali. No one was alive. 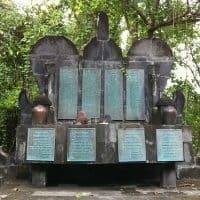 I never visited the crash site, which apparently took three days ultimately for a U.S. military team to get to – and they tried, although the Balinese could get there in about 12 hours. It was, and still is, in a really quite undeveloped area of Bali; very much jungle. Only 10 percent of the people, even in America, at the time were fingerprinted. Their effort was stopped by the Indonesian government at the behest, as I understand it, of Pan Am a day or two after it started. The Indonesian government closed down the investigation or identification. That was very upsetting to me. The one thing I was able to extract was a promise that the Indonesian government would produce death certificates, which we could use to process the report of American citizens’ death. The problem with the remains that we did have, and they were substantial – several body bags – was that the Japanese side, the Shinto Japanese, wanted to see Japanese citizens cremated. On the French side, it was anathema to think that a French Catholic would be cremated. So the body bags were divided, and obviously not everyone in one body bag being burned was a Shinto, and everybody in the ones that were being buried was a French Catholic. 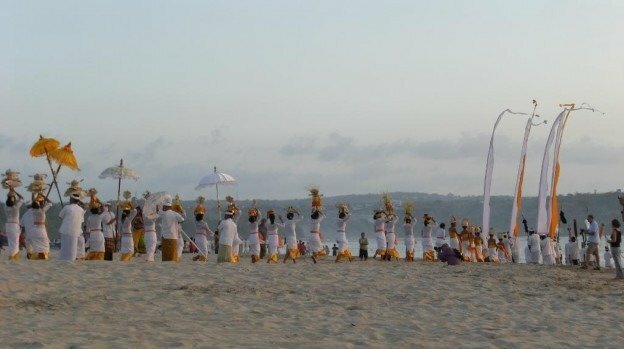 There were two ceremonies on the beach, one for cremation and one for burial. PIERCE: Yes. There was one I knew well who was waiting at the airport in Denpasar and she wanted to visit the site. She never did. You couldn’t get to the site. Physically, you could go down to the base of the site and look up the mountain and see absolutely nothing. But she stayed for quite a long time. It was very hard to go out and go up to the site and spend six hours on the road and two or three hours talking to people at the base next to the mountain. At the end of that day you would come back and you’d talk to one another. Nothing much to say, but you’d have to. 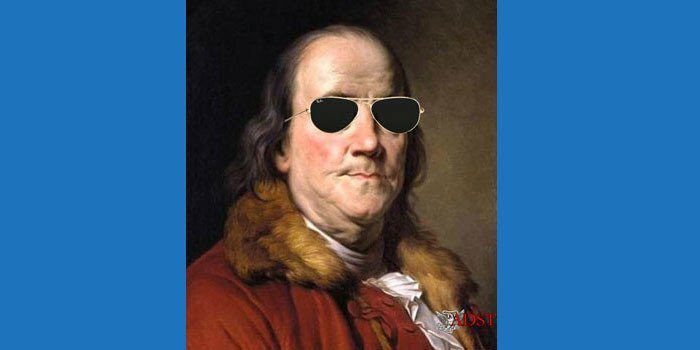 Q: Sometimes you get repercussions from those who expect you to do more than maybe is physically possible; they complain to their congress people and Congressmen. PIERCE: Not at that time. Not in 1974…. The major victory that I think my colleague and I got was the death certificates which enabled us to write an honest report on death of American citizens – an actual one as opposed to a presumptive one – which certainly facilitated inheritance issues, insurance issues, which I think at least was able to help some of the families. It was not a pleasant time.